Indulge in inspired cuisine made from local fare at these DC eateries. The word “locavore” (defined as, “one who eats foods grown locally whenever possible”) was added to the Merriam-Webster Dictionary a few years back; it’s also a concept that rules at many Washington, DC restaurants. With that in mind, we’ve compiled a list of must-try spots that source what’s on their plates from nearby states. Tucked inside the Park Hyatt Washington, this fine American restaurant serves the bounty of the Mid-Atlantic with refreshingly little pretension. Diners enter through the grand front door or like family through the open kitchen. All produce – from eggs to crabs (in season) – is locally sourced. Each purveyor receives equal billing to its starring dish on breakfast, lunch and dinner menus. The results are as American as apple pie which just so happens to be its signature dessert. Inside the bustling food hall at Union Market, this retro-cool seafood house offers innovatively farmed Chesapeake oysters raw, grilled and turned into chowder. Sitting at the long bar or at nearby tables, you can also tuck into other seafood dishes like Maryland crab cakes and tuna tartare. Wash it all down with Virginia wines, local beers and a long list of interesting cocktails. Experience the culinary prowess of acclaimed chef Spike Gjerde at A Rake’s Progress in The LINE Hotel. The airy, mezzanine-level restaurant is devoted to sourcing Mid-Atlantic ingredients, which are cooked to perfection in the large wood-fired hearth. Diners rave about the “trout on a log” (smoked trout with potato dumplings), but it’s hard to go wrong with any dish crafted by Gjerde. Produce and meat from family farms both regional and national (North Dakota beef!) show up on the menu at this Foggy Bottom favorite, where crowds line up for corn bread, deviled eggs, hearty salads, made-from-scratch pastas and signature dishes like chicken pot pie and chicken and waffles. Drinks, many powered by house-squeezed juices, are also a star in cocktails poured in the rustic-mod, high-ceilinged space. Set against the picturesque backdrop of the Washington Harbour in Georgetown, Farmers Fishers Bakers takes the same farm-first approach to dining as Founding Farmers, but with a distinctive menu that makes for a truly different, but just as satisfying, experience. Farmhouse sushi, house-made pizzas, a range of mussel pots and jambalayas are highlights, and do your best to catch First Bake, when customers can enjoy breakfast selections (to-go, if they’d like) and casual seating for a relaxed setting, complete with waterfront views and Wi-Fi access. 555 beers. That should be the leadoff to any conversation regarding Birch & Barley and its upstairs partner, ChurchKey, located on the vibrant 14th Street. Of course, Birch & Barley also provides an exciting, upscale dining experience, with a menu sporting locally sourced ingredients, informed by the flavors comprising beer sommelier Greg Engert’s immaculately curated beer list. And you can bet the best way to enjoy the tasting menu is with the requisite beer pairings. Ranked number four on Washingtonian’s 2016 list of the city’s best restaurants, this spot gained a lot of buzz pre-opening and has managed to live up to the hype. The French-born chef behind Convivial, Cedric Maupillier, told us, “It’s a place that emphasizes the food of both my home country and my new country.” No dish embodies that credo more than the now-famous fried chicken coq au vin, regularly amid lists of top DC dishes. The soft shell crab meunière is another that deserves to be on those lists. 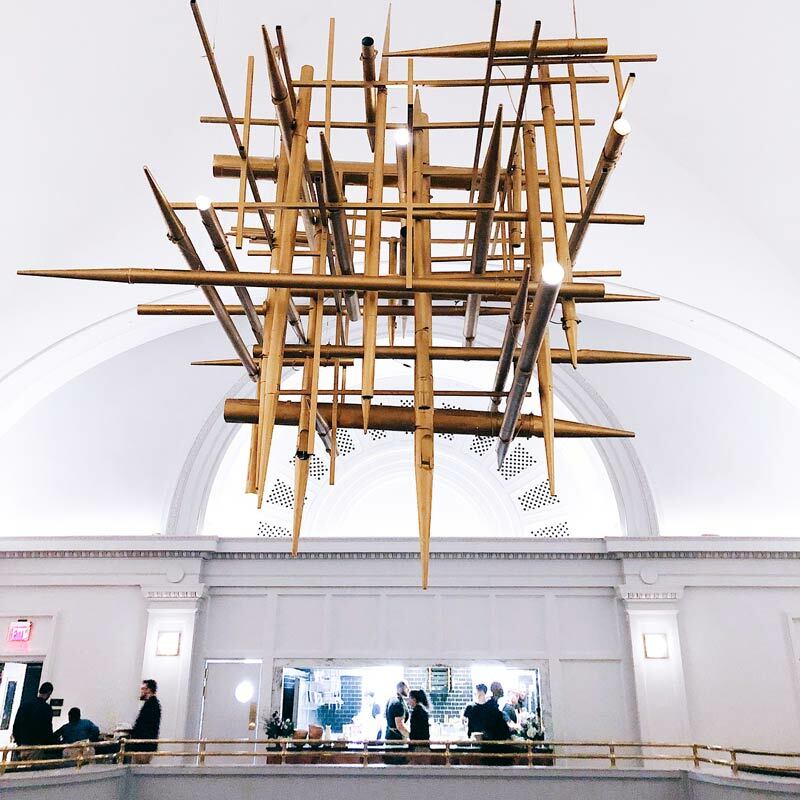 At Dupont Circle’s Hotel Madera, this long-running neighborhood favorite puts seasonal spins on American classics like shrimp and grits and pot roast, while also offering locally sourced dishes, such as the Eastern Shore crab cakes. Dark wood features (from the tables and chairs to the huge tree trunk in the center of the restaurant) and ample ambient light provide its signature cozy feel. Add a cocktail from its innovative mixology program, or a local pour of beer or wine, and you’re on your way to a most serene dining experience. For more than 25 years, this Federal period home in Georgetown has housed a legendary DC dining establishment – one that recently reinvented itself in addition to making some renovations. Featuring six dining rooms, antiques dating back to the 16th century and a remarkable amount of elegance, 1789 Restaurant has returned with a brand new tasting menu. But patrons can still expect the same dedication to high quality products and local purveyors that have been the hallmarks of this farm-to-table favorite. Good to know: Jackets are suggested attire for men, but ordering the succulent rib-eye á la carte won’t be a problem. This Michael Mina restaurant, housed inside the chic Four Seasons Hotel, will be a treat to those who thoroughly enjoy a hearty meal in a sophisticated setting. Local farms and the riches of the Chesapeake Bay power a menu full of classic meat and seafood dishes. Try a 22-ounce, grass-fed T-bone from Virginia, or feed the whole group with the Bourbon Steak seafood tower, a celebration of local and national selections. From the mind of Chef Robert Wiedmaier (winner of Chef of the Year at the 2009 RAMMYs), this fine dining establishment is a trip to France in itself. Consistently noted as one of the city’s best restaurants, Marcel’s offers up to seven courses, and features a menu filled with acclaimed dishes: the pan-seared foie gras (sourced from La Belle Farms in New York) and boudin blanc are oft-discussed. If you’re catching a show at the Kennedy Center, check out the pre-theater dining option. Just a few blocks from the White House, dine on Chef Todd Gray’s Eastern Seaboard-meets-European fare that melds authentic and local ingredients with flair. The subdued, elegant digs at Equinox also host a weekly Sunday vegan brunch (11 a.m. – 1 p.m.) and a Sunday Supper (5:30 – 8 p.m.), a Tuscany-themed, five-course dining adventure from Chef de Cuisine Colin McClimans featuring “hyper-local” ingredients. Treat the taste buds to “farm to taco” fare at this stylish Georgetown eatery. Chaia marries street-food style and sustainable products to provide unforgettable flavor and a truly distinctive dining experience. Options include creamy kale and potato with pepper jack cheese and poblano crema, or rutabaga and red kale with feta cheese and roasted pepita salsa. 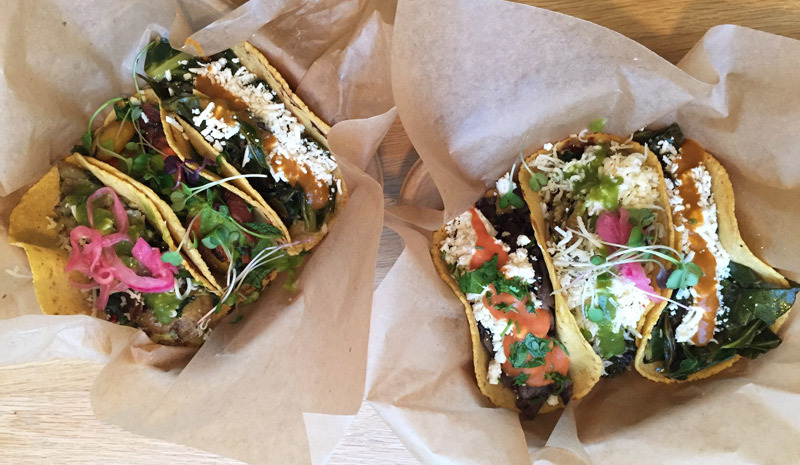 Every taco is served on a handmade corn tortilla and topped with local greens. A vet of acclaimed Charleston spots like McCrady’s, Chef Jeremiah Langhorne explores the cuisine of Maryland and Virginia at this Shaw hot spot in Bladgen Alley, where an open kitchen featuring a wood-fired stove turns out grits milled nearby, Chesapeake seafood and dishes based on historic regional recipes. The throwback setting – a candlelit restored rowhouse – is romantic and relaxing. Dig in to one of the hottest restaurant scenes in the nation. Discover more places to eat in Washington, DC.